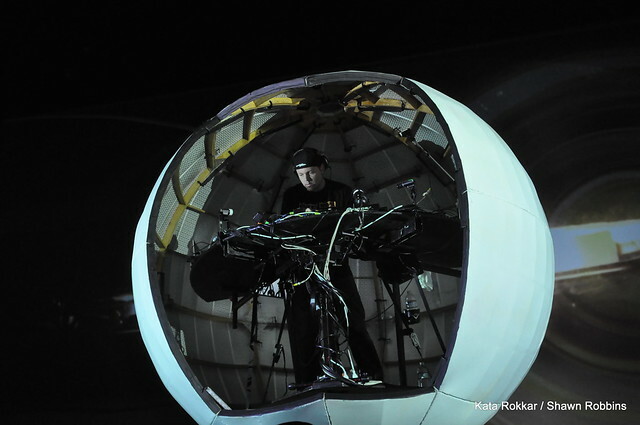 Monday October 5th sees the release of the new DJ Shadow album ‘The Less You Know, the Better’ the first album from DJ Shadow in five years since the release of ‘The Outsider’. Here at VoEA HQ we are big fans of the man Shadow and have been since the release, 15 years ago, of his groundbreaking ‘Endtroducing’ album. With the new album due out shortly and ‘Endtroducing’ being almost exactly 15 years old, it seems like a good time to pay tribute to one of the most original producers and DJs around and a man who reportedly owns the largest collection of hip-hop related vinyl on the planet – some 60,000 records and counting. 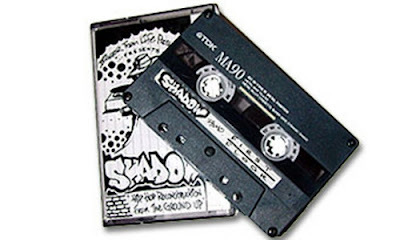 DJ Shadow (real name Josh Davis) started using the moniker Shadow in the late 1980s because he felt, at the time, too many DJs and producers were becoming too up-front and being too over-the-top. 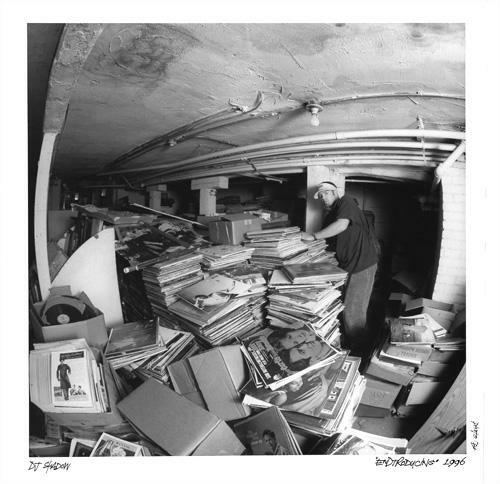 He loved the early hip-hop sounds but wanted to make his own music without an MC; instead using samples from vinyl he’d discovered whilst digging in the crates – he wanted to be there but also blend in to the background – hence the name DJ Shadow. He started DJing at school in California and from there went on to play regularly at the University of California campus radio station KDVS. From his school days he had been experimenting with sampling and recording and from this the next logical step was to release some work. An early mix-tape ‘Reconstruction from the Ground Up’ won Davis some early recognition from Source magazine’s ‘Unsigned Hype’ column in 1991 and in 1992 a compilation release on the short-lived Hollywood Basic label called BASIC Beats Sampler contained a Davis remix and his own mega-mix summary of the whole album. The next release in 1993, his first on Mo’Wax, called ‘In/Flux’ got much critical praise including NME’s single of the week with them calling it ‘stupendous’. The next record was ‘Lost and Found (SFL)’ with Japanese producer DJ Krush released in 1994 and again impressed the good people at NME, garnering a second consecutive single of the week award. Rewinding slightly the first release on the Solesides label which Davis set up in 1991 with fellow KDVS DJs Lyrics Born and Blackalicious was ‘Entropy’ which was subsequently re-released in 1993. The Solesides label continued until the winter of 1996 when it folded but soon returned as Quannum Projects within a few months. 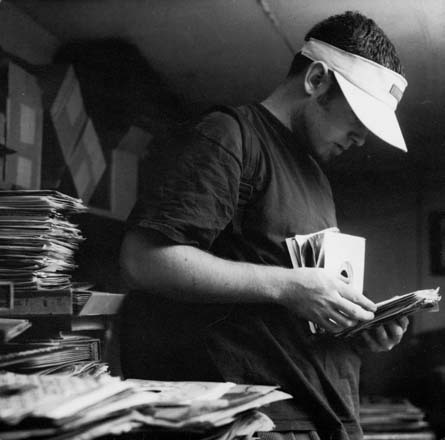 Davis’s good relations with Mo’Wax records continued and autumn 1996 saw the release of ‘Endtroducing’ on the very same label. From the beginning it received excellent reviews across the board not only from the world of hip-hop but also from rock, jazz and more general publications. Whilst the praise was very forthcoming on the initial release, when it was re-issued and re-packaged ten years on in 2006, the reviewers were almost tripping over each other to give it 10 out of ten and it seems that like a fine wine many people see this album as getting better with age. Certainly when listened to now it is still fresh and original and even though most of the tracks have been used in TV and film at some point, as an LP when listened to from start to finish it still hits the spot. Without exaggeration or fear of contradiction we can honestly say this is one of the finest records ever released and is a must have in any record (or CD) collection. If you do not already own this we heartily recommend it – buy it and you’ll see exactly what we’re waffling on about. In addition to much critical acclaim ‘Endtroducing’ made its way into the Guinness Book of Records for being the first record made entirely of samples – although there is a vocal contribution from the Solesides boys who also feature on the front cover in a record shop, since closed, in Sacramento, California. For the trivia nuts amongst you the cat on the back cover is blind. 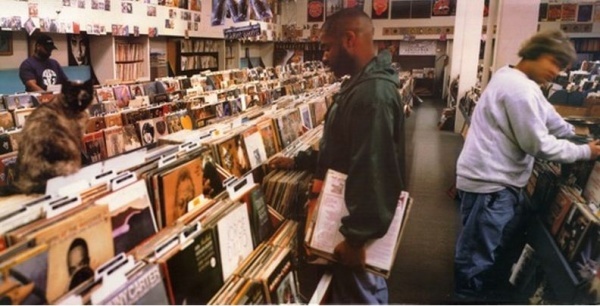 ‘Endtroducing’ consists of over 86 samples which we won’t list here but include such varied records as the Charles Stepney produced ‘California Soul’ by Marlena Shaw, ‘Possibly Maybe’ by Bjork and ‘Orion’ by Metallica. 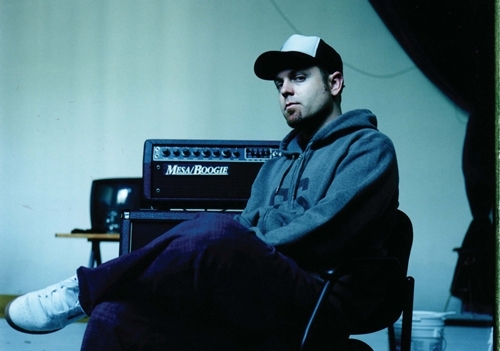 In 1998 Davis released ‘Pre-emptive Strike’ a compilation of a number of the early singles and in the same year produced ‘Psyence Fiction’ the first album by a Mo’Wax collective called Unkle. Following this in 2000 Davis produced the music for Marc Singer’s film Dark Days about homeless New Yorkers living in abandoned underground tunnels. Never one to be rushed into releasing a new album, Davis’s next long player came out in June 2002. ‘Private Press’ was well received but, almost inevitably, didn’t get the critical acclaim of ‘Endtroducing’. The difficult second album is always an obstacle for any artist especially when the first release has become almost legendary. To Davis’s credit he didn’t go back and use the same formula as ‘Endtroducing’ which he could so easily have done but instead tried to move into new directions. The title of the album takes its name from records that were never intended for commercial release. Back in the 1960s when vinyl was pretty much the only way to record anything and record players were the only way to play anything (this is pre-cassette), people would make their own private pressings, sometimes as a vinyl postcard or letter to a husband or wife, sometimes as a one-off present. As an inveterate crate-digger Davis had uncovered a number of these private pressings and wove them into the structure of the album. The critics were, in general, kind but not so gushing in their praise as they had been for the first album. October 2011 sees the release of the fourth album by Davis and he’s been quoted as saying: “It will sound different to the last one.” Early reviews have called it ‘an epic film score without the film’ and Davis himself has called the album ‘beautiful’. He was recently quoted as saying: “I don’t put a record out every year so I can see what others are doing and learn from that and see things that are happening. So I feel that a good record from me never defines 2011 – it should be totally timeless and be able to live in any era. I think I’ve done that with this one….I think my fans who have been there since Endtroducing will really like this one.” One or two hiccups with sample clearances have delayed the release slightly and Davis has been trying some different marketing techniques leading up to the release such as leaving copies of early singles released from the album in charity shops for only the most dedicated crate diggers to uncover. Needless to say we’re sure Island records will be embarking on a more conventional marketing campaign leading up to the release. 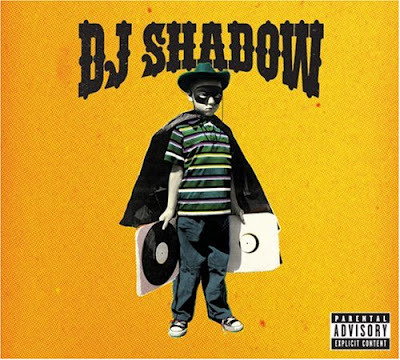 DJ Shadow has been around for two decades now and having listened to the new album we can verify he can still produce the goods. Whilst not all his work has received consistent critical acclaim he has trodden his own path and has always been his own man – not responding to criticism but instead doing his own thing. We are big admirers of the work of Josh Davis and respect his single-mindedness, his ability to keep digging after all these years and an uncanny ear for a good sample. Long may it continue. You can listen to the new album below but not download it. If you like it go out and buy it – that’s what we’ll be doing.